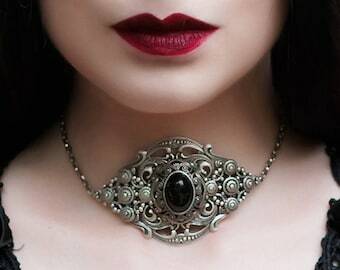 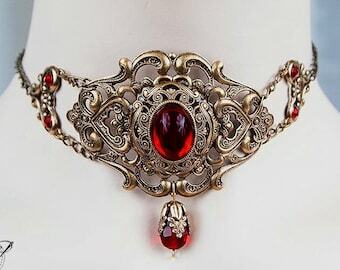 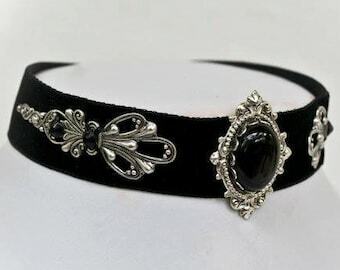 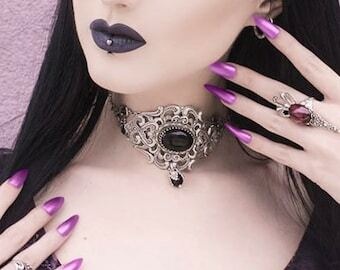 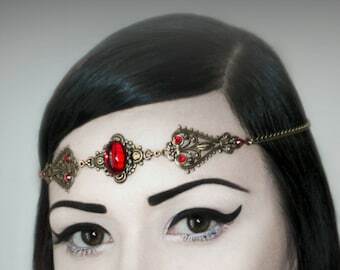 Emerald gem gothic victorian choker. 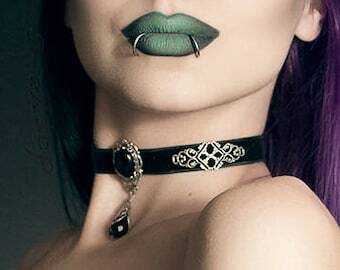 This choker featuring two oxidized sterling silver plated brass connectors which are decorated with emerald crystal gems and one framework stamping of impeccable detail which is oxidized sterling silver plated brass. 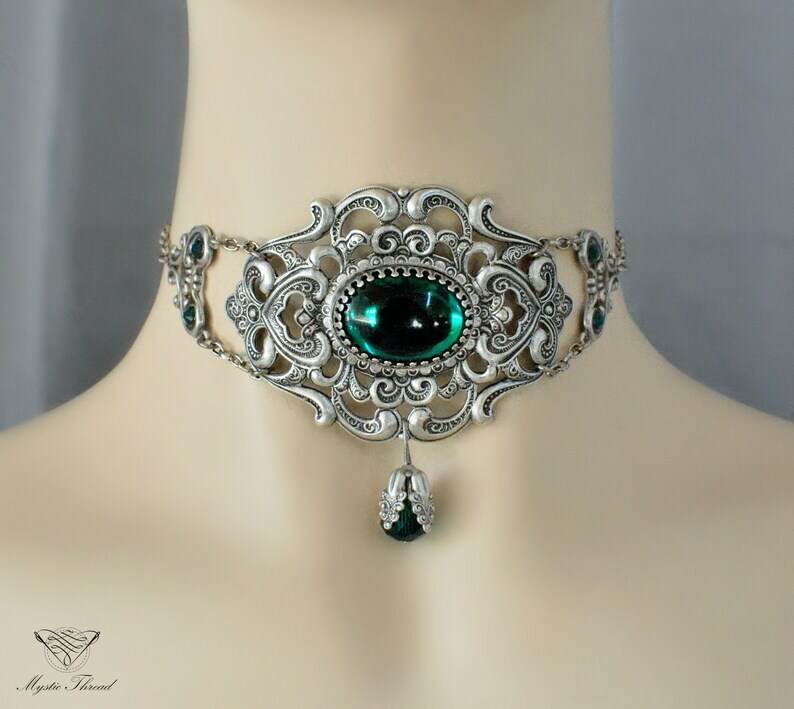 An Emerald Czech glass gem 25x18mm on a oxidized sterling silver plated brass crown edge setting decorate the framework stamping. 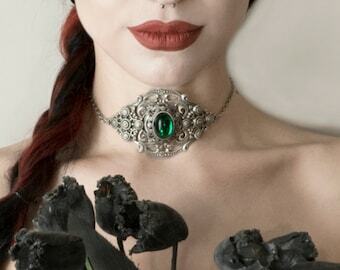 An Emerald crystal gem in an oxidized sterling silver plated brass bead cap hanging of it. 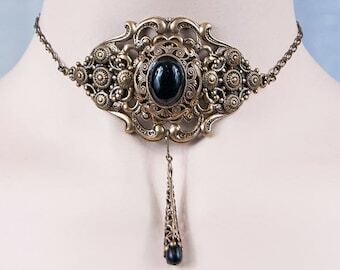 It fastens with chain and clasp.